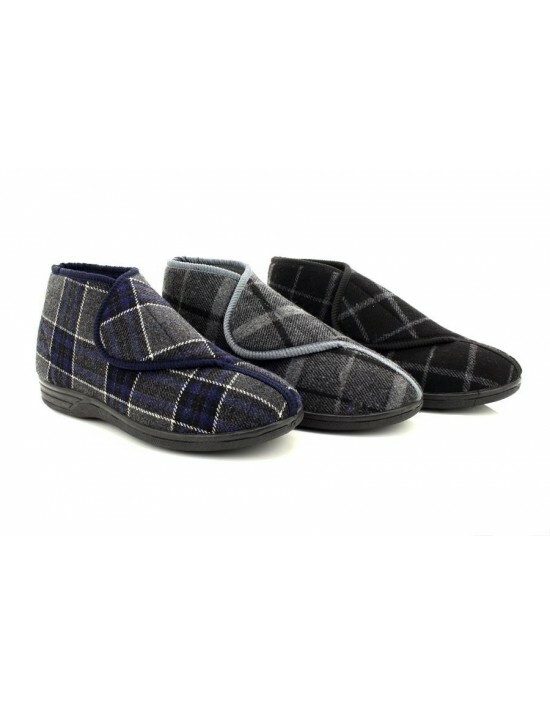 These Men's Extra Wide Slippers are ideal for any man. 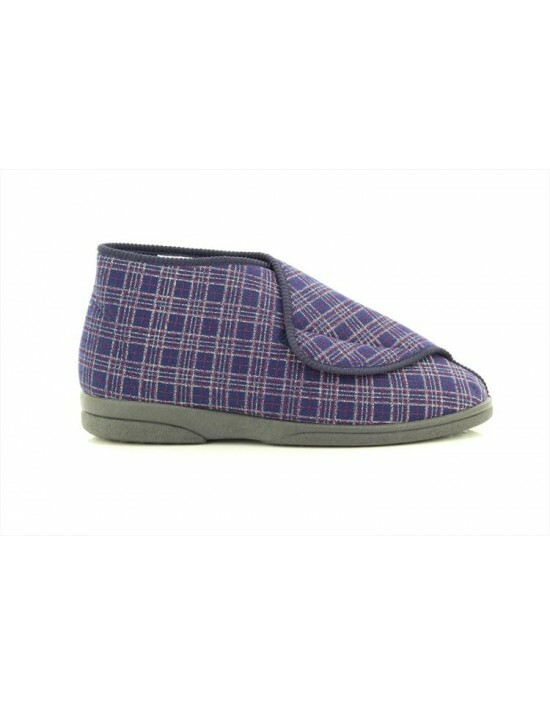 The stylish check design andVelcro® fastening are ideal for a perfect fit. These are suitable for extra wide fitting. FREE Delivery! 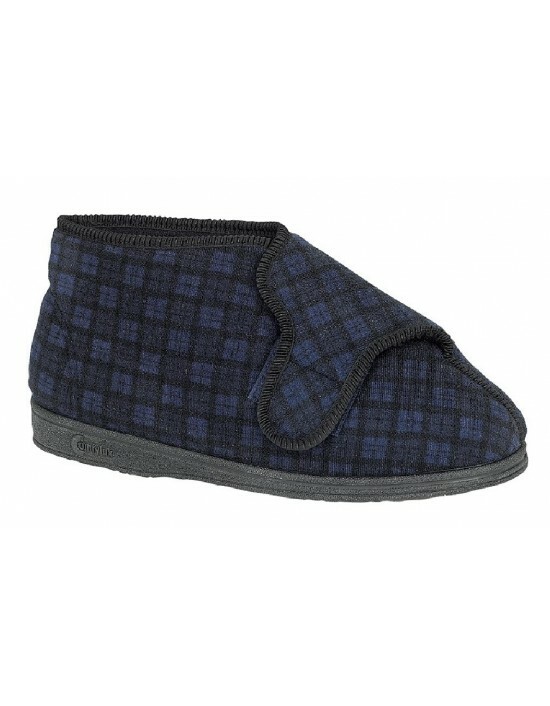 Comfylux, Navy Blue Nylon Checked, SUPERWIDE EEEE Fitting -FREE Delivery! Zedzzz, Navy Blue Check Velour, Textile. FREE Delivery! Comfylux, Black Nylon, Textile. 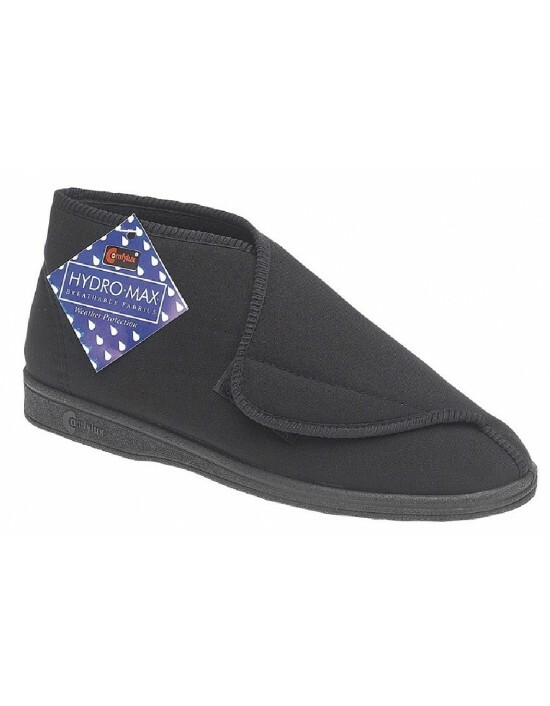 Hydromax Water Resistant Membrane.FREE Delivery! 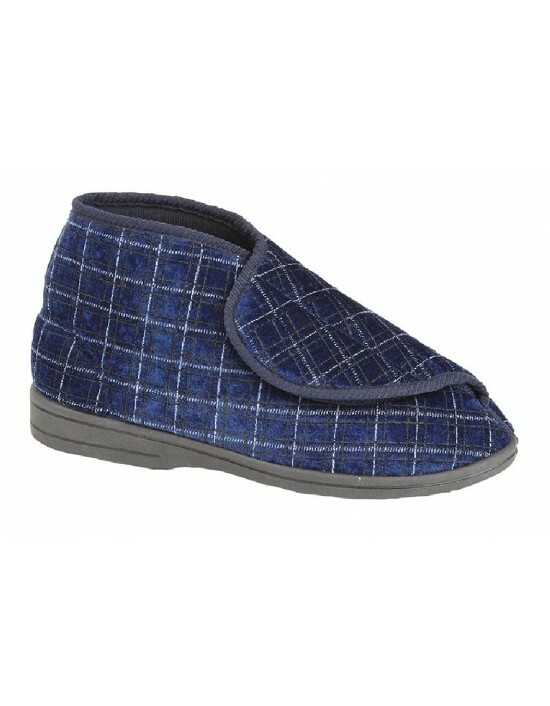 Step and Zip your feet into comfort. 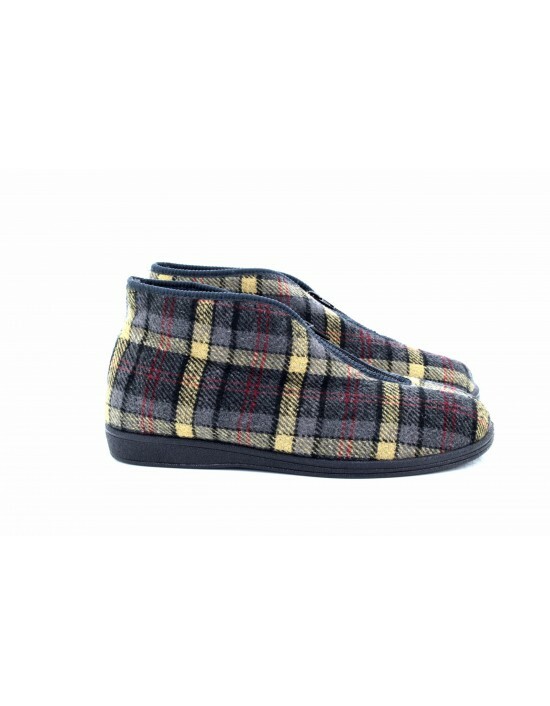 These Bootee Slippers are just what you need. Warm, soft and fleecy. FREE Delivery! 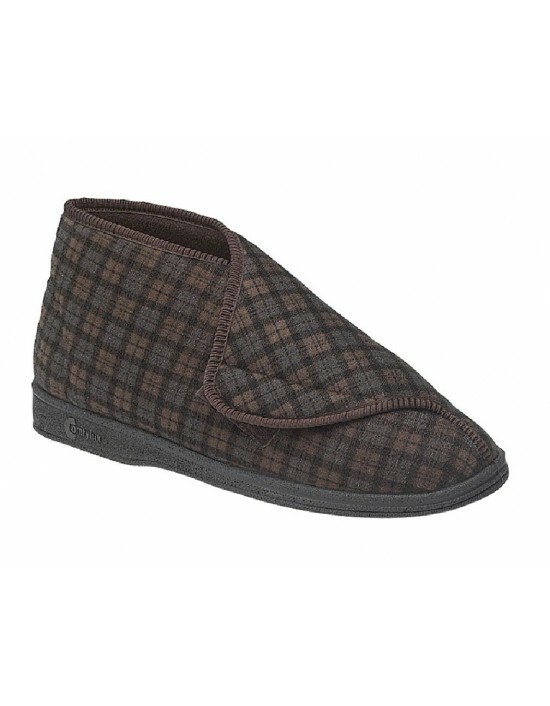 Comfylux, Brown&Navy Check Nylon, Textile. FREE Delivery! 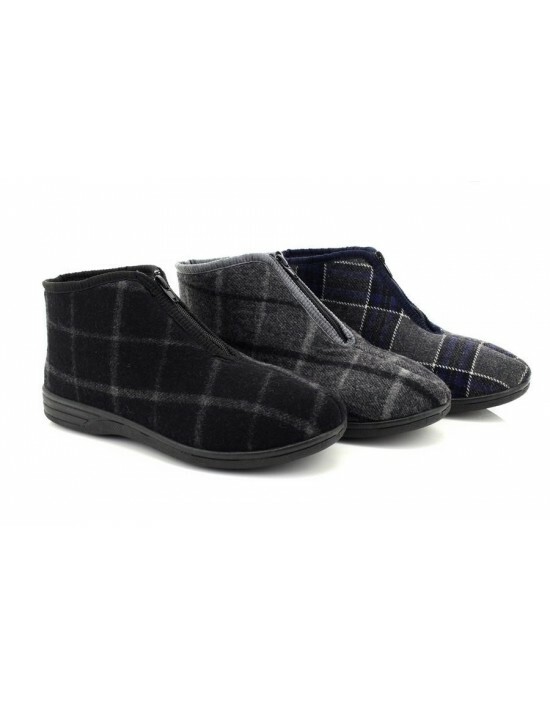 Shucentre, Navy, Grey & Black Check Nylon, Textile. FREE Delivery!